Sandra Oh attends BAFTA Los Angeles + BBC America TV Tea Party 2018 at The Beverly Hilton Hotel on September 15, 2018 in Beverly Hills, California. Sandra Oh teamed her dress with a pair of bow-adorned pumps. 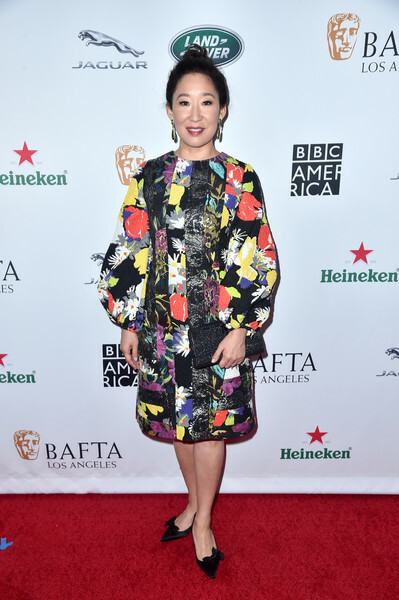 Sandra Oh looked vibrant in a patchwork print dress by Duro Olowu at the BAFTA Los Angeles + BBC America TV Tea Party.